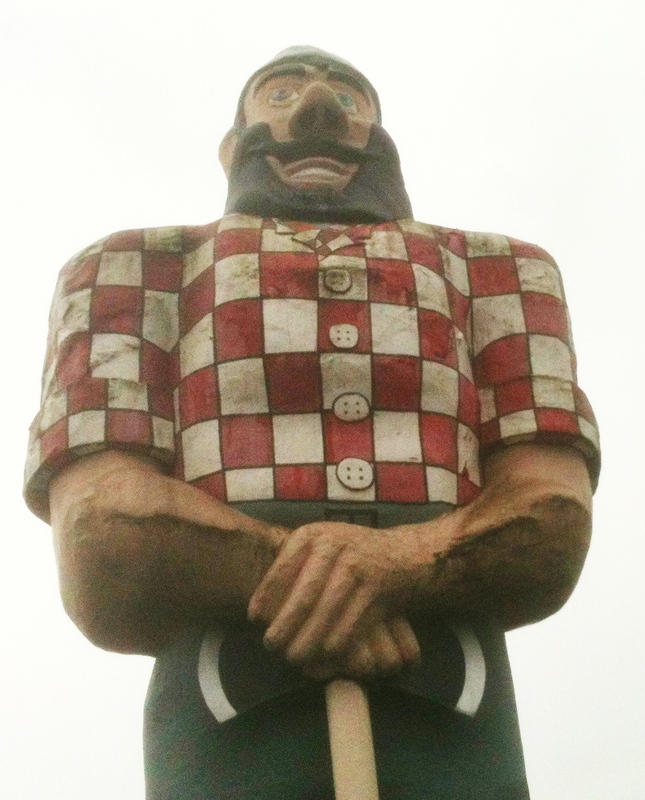 When I first started this blog I included a picture of Paul Bunyan in a blog post professing my love for giant milk cartons and loafs of bread that can be seen around Portland. 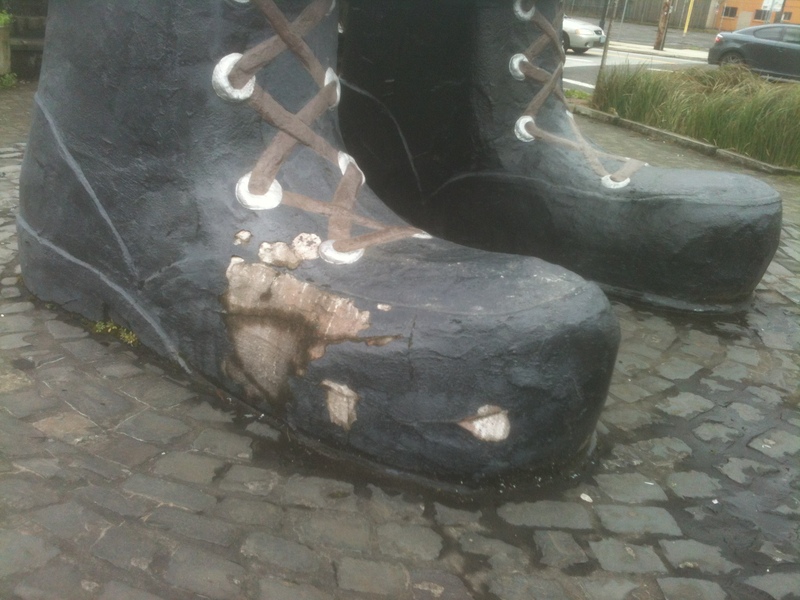 A woman in the neighborhood who is involved with the Kenton Neighborhood Association saw the post and photo and remarked on how dirty Paul looked. This got me thinking. Paul needs a bath. He’s sooty, especially around the forearms, his painted on shirt is peeling and he’s fading. When it is sunny, he gets blasted. His skin turns paler and his clothes get dingier every second. 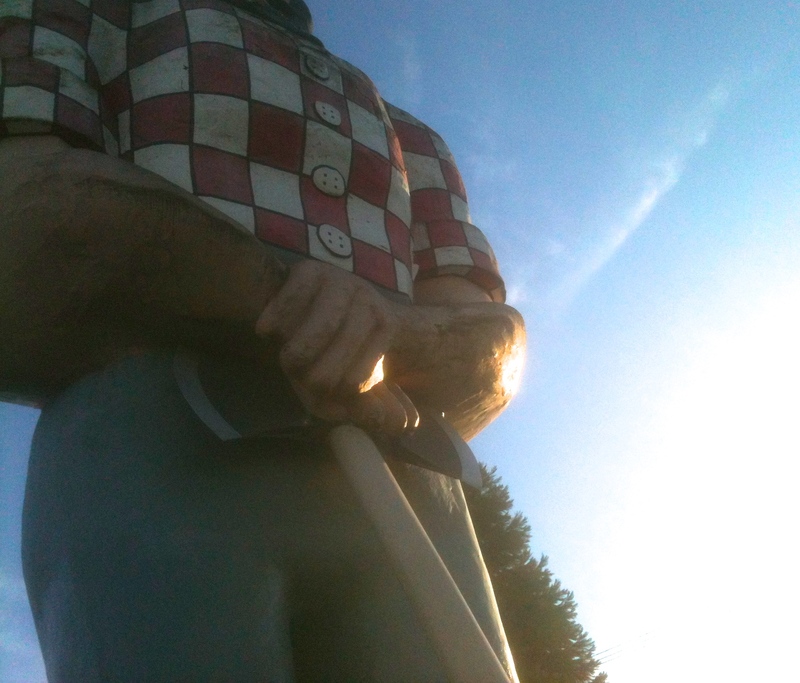 I was told that a Paul Bunyan bath runs in the neighborhood of $10,000. Well, that’s what you might expect to pay at the Bonneville Hot Springs Resort and Spa but good luck getting Paul there. It is quite an involved process. 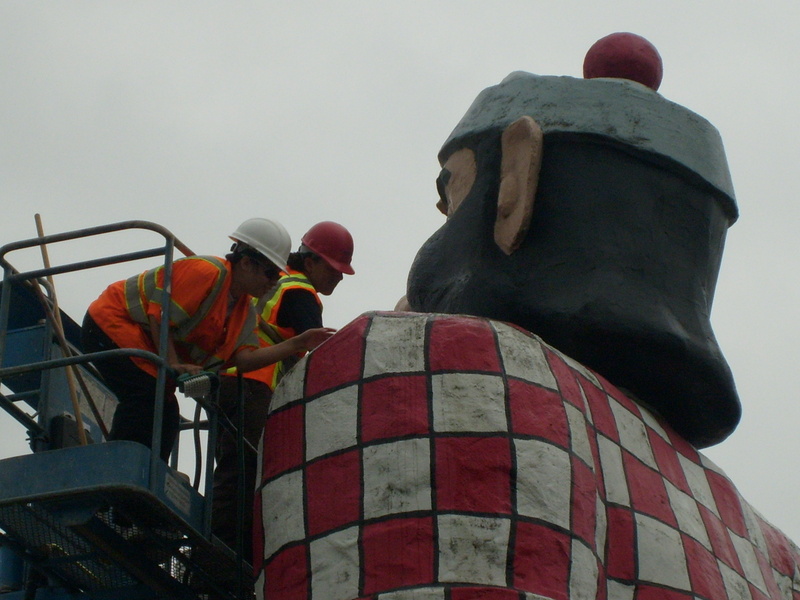 It takes time and multiple people to scrape, power wash, scrub and then repaint Paul. The last time it happened was in the summer of 2009. That’s right, Paul has not had a bath in over five years. We’re lucky Paul doesn’t perspire or the neighborhood would be smelling like it did when the Union Meat Company had a processing plant in the area. 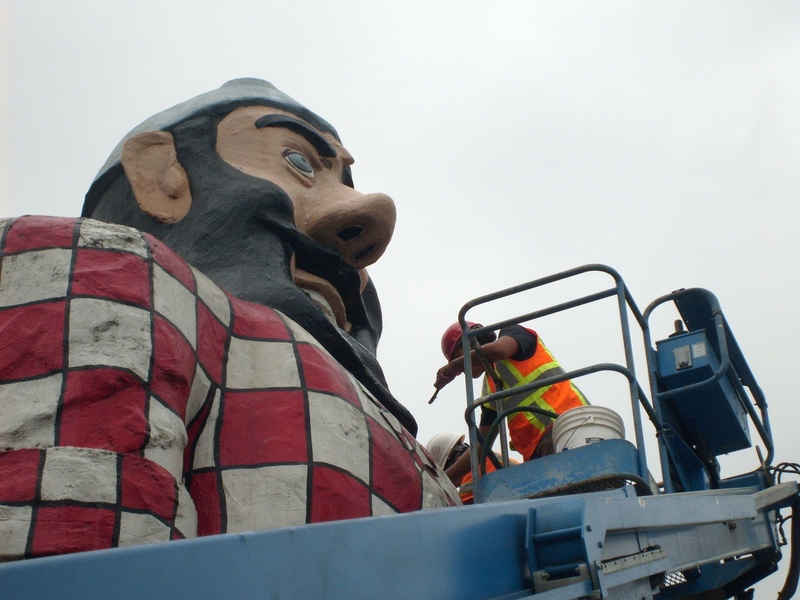 I don’t know how it was all arranged the last time Paul was cleaned up but it’s looking like it’s time to start thinking about another restorative/industrial spa session. 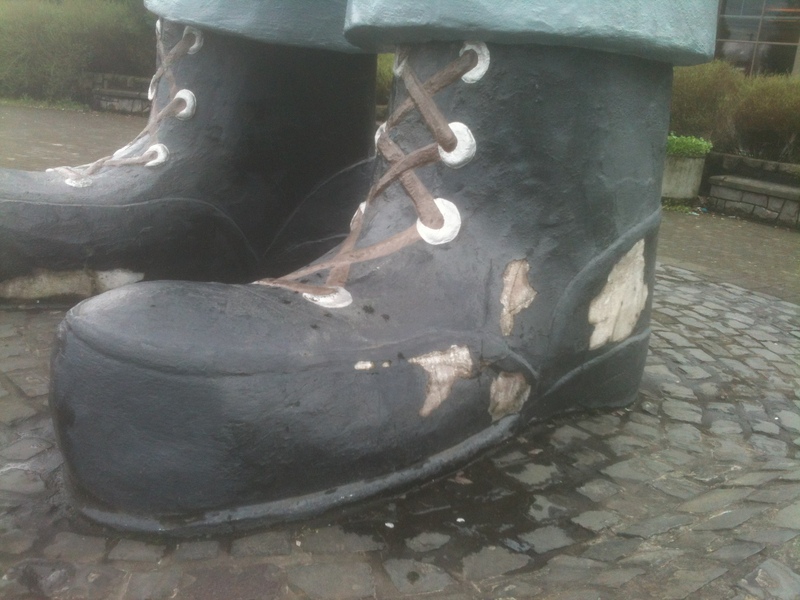 Despite the fact that our Paul Bunyan statue never takes a step, his shoes are worn out. It’s time. It’s beyond time. We can all agree that no one should have to go over five years without a bath! 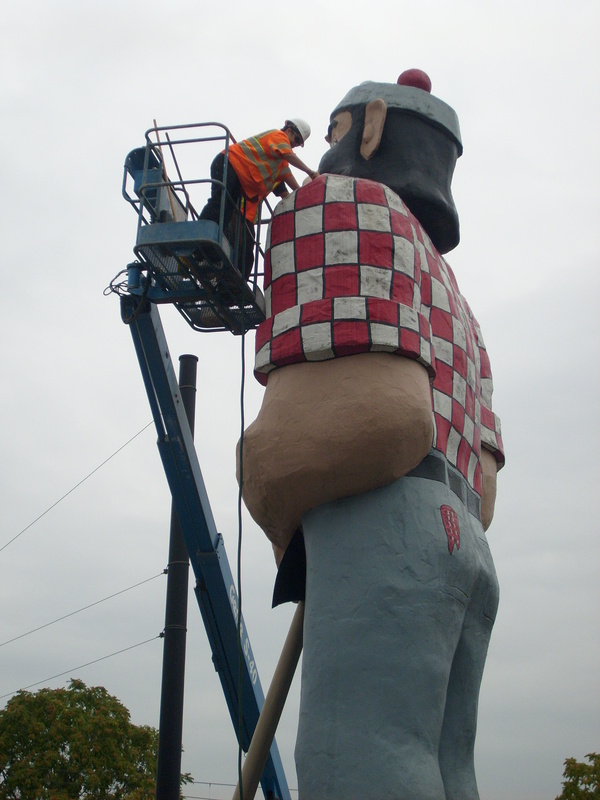 New shoes, clothes and a good scrub for our beloved Paul Bunyan statue are the order of the day! Here’s a link to a great Kenton history page. Scroll down to see the version of Paul with heavy mascara. Check out the neighborhood photos from the Kenton Commons web page. They are beautiful. Wait a minute, I live here?